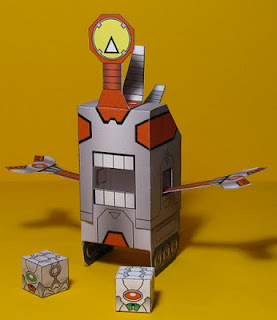 Along with Microbot, I was fortunate enough to find a home for my Chompy Bot design in the "Build Your Own Paper Robots" book. 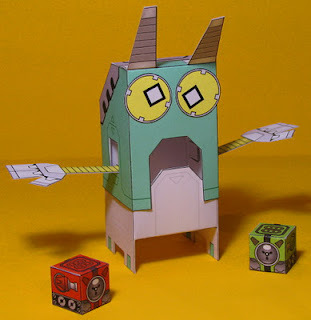 Each Chompy is printed on just one page of card stock and each one also comes with two friends/drones/parasites which can be "stored" inside each Chompy's mouth. When you pull the mouth open, the arms pull up with it. 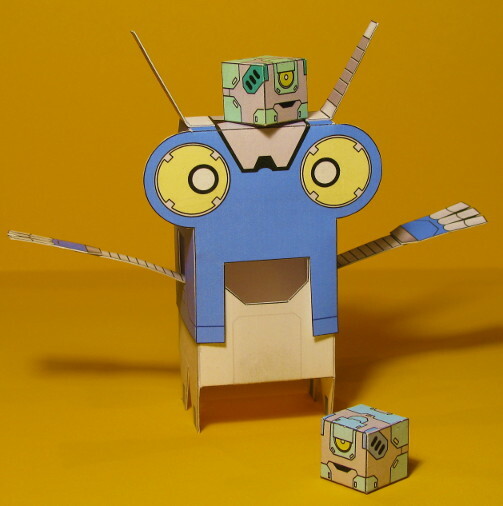 Do this fast enough, and you can make your Chompy bot flap like a bird! Build Your Own Paper Robots was re-released as a paperback in Europe by Ilex Press in September. Chompy bots are some of the easier-to-assemble toys I've made, and you can only get them by getting the book with dvd, but then you can print out as many as you want! 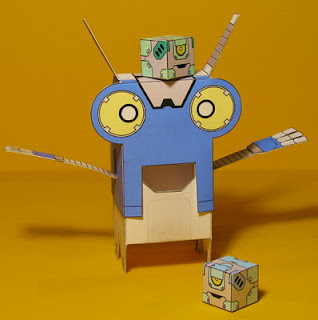 Just to let you know, I have posted pics of a blue Chompy Bot and green Poco Bot constructed by me on my blog. Coming soon will be Sweet Robo and Bachsy as well. 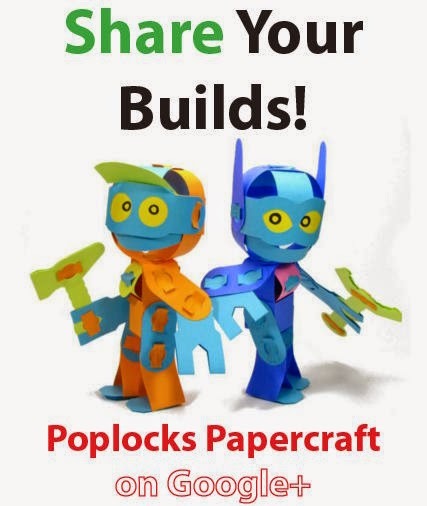 Thanks for showing off your builds, Ken! I will feature them in a gallery post very soon. Gupp-E - Made with Poplocks!